Louisiana Plantation Homes | Experience New Orleans! Journey beyond the city limits, and explore a place where time stands still. Beautiful, historic plantations await your visit, each with their own unique stories and mystique. See extravagant homes overlooking sugarcane fields and ancient avenues of oaks. Cajun and Creole cuisine, swamp tours and great Louisiana culture are all just minutes from New Orleans! Prefer to Spend the Night? If you can’t get enough of Plantation Country and prefer to spend the night, Richmond Inn & Suites, centrally located in Baton Rouge, is a great place to set up home base. Go back in time while still enjoying modern amenities. 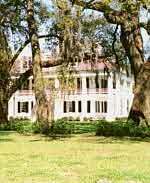 Or stay right on the grounds of a historic plantation at the Inn at Houmas House. a collection of quaint cottages nestled along an alley of ancient oak trees on the plantation grounds. Learn more. For more information on our plantations and their history, see below. Feel the gentle breeze of Southern hospitality on a tour that takes you back to the glory of the Old South! Gray Line New Orleans, the world's leader in sightseeing, has been showcasing New Orleans to visitors from around the world since 1924. Hop on, and enjoy touring New Orleans' many beautiful and interesting attractions. Louisiana Plantations, once where cotton and sugarcane was grown, now offer visitors a look into the rich history of Louisiana. 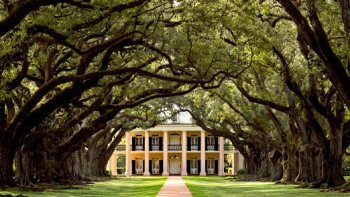 Many of the most famous and beautiful plantation homes in the south are located just a short drive from New Orleans. The plantation culture in the New Orleans area dates back to the beginnings of an agricultural economy in the 1700’s when farmers were needed to provide food for the new economy. Many of the historic homes are older than two hundred years. A number of crops have been grown on the plantations for food and for profit. Corn and rice have been staples throughout the existence of the plantations to feed the farm’s animals, slaves and owners. In the 1700’s the area’s most profitable crop was indigo, a plant that was used to make blue dye. By the 1800’s, farmers turned to commercial crops of cotton, sugarcane and tobacco. The farmer’s homes started as simple dwellings, but as the farmers found commercial success they built houses to match their newfound riches. As the farmers became richer, they replaced their homes with newer, larger and more impressive homes. Many of the plantations mix simple Creole style with the unmistakable Greek revival columns, curved stairs, semi-detached wings and other stylish designs of the period that showed off the owner’s wealth. Many of the plantations closest to New Orleans are along the River Road corridor, a stretch of land that runs for nearly seventy miles along the Mississippi. Beginning in the early 19th century, travelers to the area began to note the splendor of area plantation homes, which were often grand mansions on sprawling acres of carefully tended gardens and auxiliary buildings. Even more important than the big houses were these smaller buildings, which were often where the plantation’s moneymaking activities took place--sugar milling, for example. Mississippi plantations primarily focused on sugar production, though cotton plantations were also present. Slave quarters were located on the plantation grounds, making each plantation into a self-contained community. However, following the Civil War and improvements in sugar production, many River Road plantations became unprofitable and fell into ruin. Some houses were lost or destroyed entirely, with their valuable history following suit. The appearance of tobacco mosaic disease (TMV), which ruined fields of sugarcane, also contributed to the 1920s downfall of the once-prosperous plantation model, along with a weak economy, the encroachment of the river, and federal action. Land began to be divided between owners, resulting in untended parcels of land marring the lovely, cohesive appearance that River Road visitors had admired. Beginning with Oak Alley in 1925, River Road plantations began to be restored, and this restoration continued through the 1940s. Despite the presence of new industry in this Mississippi corridor, such as petrochemical plants, many plantation homes were able to return to glory, and remain testaments to the grandeur and history of old Louisiana. 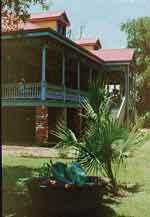 Circa, 1830, St. Joseph Plantation, has been family owned since 1877, and is one of the few fully intact sugar cane plantations in the River Parishes. Composed of 2500 acres (including our "sister" plantation, Felicité), our property stretches back from the Mississippi River as far as the eye can see. You will find many tours guided by family members themselves. So, take a walk through time as you enjoy a fascinating glimpse into the lives of the many interesting people who have called this plantation "Home." This plantation is the birthplace of H. H. Richardson, one of America's most important architects of the 19th century. The maison principale was acquired by a French doctor, who was hired to care for the masters, their families, and slaves. Josephine Aime, daughter of Valcour Aime, "The Louis XIV of Louisiana", married Alexis Ferry, and purchased the plantation in 1859. Learn about their lavish lifestyle that existed prior to the Civil War. The lives of these families through the years were deeply intertwined with neighboring plantations, Oak Alley, Laura, "Le Petit Versailles", and still to this day, Felicité. 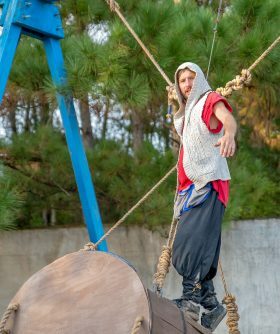 Learn about the sugar cane industry in South Louisiana from 1795, when sugar was first produced on a commercial scale and was considered white gold. View the renovated slave cabins as well as Creole Cottages, detached kitchen, barns, chicken coops, blacksmith shop carpenter shop and other dependencies necessary to sustain life during these early years. Tireless volunteers, some, cousins as distant as the fourth degree, have come together to once again breathe new life into this beautiful house. Other plantations, talk about the antebellum history through the Civil War, and their timelines stop there. Our family takes pride in continuing to preserve our heritage of over 135 years. To complete your experience, St. Joseph Plantation gift shop offers many items created by Louisiana artist, and craftsmen. Two historic Antebellum Plantation Homes that are within 30 minutes of New Orleans are Destrehan Plantation and Ormond Plantation. Both are within two miles of each other, and are just 10 minutes from the New Orleans International Airport. If you visit, one, you may as well visit both, since they are so close. Destrehan Plantation was built in 1787, originally of West Indies architecture, but later renovated to the then popular Greek Revival Style. It is the oldest documented plantation house left intact in the lower Mississippi Valley. The plantation bears the name of its builder, Jean Noel Destrehan, who acquired the estate from his father-in-law, Robin de Longy. It was here that the process of producing granulated sugar was perfected, and helped to establish sugar cane as the major crop of the area, replacing indigo. After years of neglect, restoration is now continuing. Today, the house is open for guided tours, and is available for dinner parties, wedding receptions and special events. 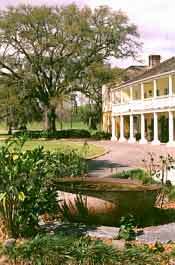 Claiming to be the oldest French West Indies style plantation in the lower Mississippi valley, Ormond was also built in the late 1700's. Like most of the early plantations of the area, it began as a farm for indigo, but later switched to the more profitable sugar cane crop. 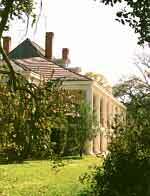 Originally acquired as a French land grant, the plantation stretched from the Mississippi River to Lake Pontchartrain. During its long history, it was the focal point for parties and celebrations, a prize to be captured during the Civil War, makeshift housing for troops heading to the Battle of New Orleans, and more. Today the estate is but a mere 16 acres, but is restored, as closely as possible, to the way it was during its prime. It is privately owned, and the owner lives in the house. Several rooms are available to guests as a Bed and Breakfast, allowing visitors to savor the atmosphere of the 19th century, with a view of the mighty Mississippi River from the upper gallery. It is becoming quite a popular place to have weddings and honeymoons. Most people think of decadent opulence and pampered life-styles when they think of the plantations of the 18th and 19th centuries. It is sobering to consider that, among other things, there was no plumbing. A pitcher on the dresser held water for washing. Hot water had to be carried up to the rooms, and people would "go down for a bath" once a month (no indoor bathrooms). Indoor toilet facilities didn't exist, so one had to trek to the "privy". The cold of winter made it seem too far, yet the heat of summer produced aromas that made it seem too close. Food was prepared in a kitchen, separate from the main house, and carried inside to be served. To go to the second floor, one had to go outside to use the stairs - there were no inside stairs, either. Drinking water came from cisterns, which captured rainwater from the roof. All in all, I think that my modest life-style is far better than the life of luxury, enjoyed in the 19th century. One of the most interesting features of the Destrehan Plantation tour is one of the rooms, which is preserved in a state that allows you to see the building methods. The walls are unfinished, showing the bare support for the plaster, and the ceiling is removed, showing the timbers of the attic. Today, with all of our modern materials and building methods, it is nice to see how, 250 years ago, buildings could be built that are more durable than those built today. One of the most visited Antebellum Plantation Homes near New Orleans is the Houmas House Plantation, ranked the No. 2 Historic Home Tour in the country by USA Today. Not only do tourists come by the busloads, but locals may make the drive to spend a couple of hours on the grounds, followed by lunch in nearby restaurants, before returning home. 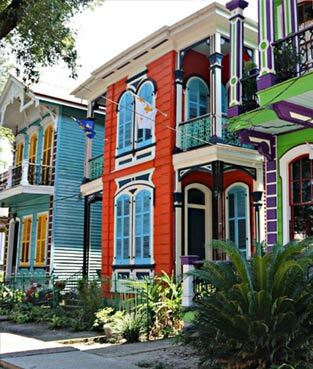 Houmas is a home with the architectural style that most people envision when they think of the old plantations. It was used as the filming location for the film "Hush, Hush, Sweet Charolette," starring Bette Davis. Located in the small river community of Darrow, LA, it sits on a few acres on the Mississippi River, much smaller than the 20,000 acres that it once had. The present Houmas House was built in 1840 by Col. John Smith Preston, on land originally owned by the Houmas Indians, hence the name. Records seem to show that Maurice Conway and Alexandre Latil purchased the land from the Indians. It was Latil who built the first structure, in the late 18th century, while Louisiana was a Spanish territory. Somehow Daniel Clark came to own the property, then sold it in 1812, to Revolutionary War General Wade Hampton of South Carolina. General Hampton's daughter, Caroline, married John Smith Preston, and together they acquired ownership of the property. 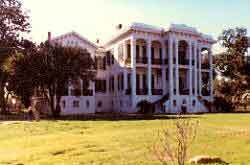 In 1840 they built the present mansion, known today as Houmas House. The original structure still stands, and is connected to the main house at the rear. In 1858 they sold the house and 12,000 acres to Irishman John Burnside, one of the nations leading sugar producers, and to this day, the home is sometimes referred to as the "Burnside House." La Branche Plantation Dependency House, on the River Road in St. Rose, LA, is an interesting stop on the Southeastern Louisiana Plantation tour, because it is a visit to a plantation home that no longer exists. All that remains is the Dependency House, which had a function that is pretty much what the name implies. It is what we usually call a Garconniere (French for bachelor quarters). La Branche is now listed on the National Register of Historic Places. The Zweig family, of Germany, built the plantation in 1792. Because of neglect, the effects of the Civil War, the economics during and after Reconstruction, and the division of the property among heirs, there is little left to indicate what was once there, save for "an alley" of Oaks. The site of the main house is on private land, and is not accessible to anyone, without the permission of the owners. The Dependency House is on land currently owned by the Lentini family, and is open to the public. A tour of the Dependency House is interesting enough, though, because it gives a clue to the lifestyle or young bachelors of the day. Anyone who ever raised teenaged boys can understand the logic of moving their bedrooms out of the house. By contemporary standards, the furnishings are austere. They are quite functional, but not what I would call luxurious. It is not the original furnishings of the house, but typical pieces from that period. Included in the inventory is the actual bathtub of Zachery Taylor. One of the really interesting features on the property is a preserved slave quarters building, which has been restored, as much as possible, to show the actual living quarters that a slave family (or families) might have, including the sparse furnishings that were common for the time. Preserved slave quarters are rare for a number of reasons. Most often, plantation land was purchased by oil refineries and industrial plants, and such buildings were usually cleared away. The main houses were typically used for office buildings, so more of them remain. Laura Plantation is a little different than most of the Louisiana antebellum plantations, in that it is built in the French "Creole" style, rather than in the style of the English or American antebellum homes common throughout the area. While it has the wide veranda that most plantation homes had, the ceilings were not quite as high, and the architectural style is noticeably different. The home was just recently opened to the public, and restoration is in progress (with much yet to be done). It is a worthy project, for too much antebellum history has been already lost. According to Mr. Norman Marmillion, owner and manager of Laura, "Twenty five years ago, before we knew anything about Laura or her Memoirs, we wanted to save this small place. It was because of those last houses you can see in the back. We have four of the old slave cabins standing. There were once 69 cabins and people lived in those houses until 1977." Upon entering, you see a sign that proclaims Laura to be "The American Home of Br'er Rabbit". Local guides explain that, "…in 1871, a neighbor of Laura's, by the name of Alcee Fortier, just 18 years old, came into the cabins here and on neighboring plantations. Here he wrote down the stories he heard the workers telling their children in Creole French. Fortier recorded some 20 stories about Compair Lapin and Compair Bouki (the clever rabbit and the stupid fool). Twenty-five years later, Fortier was president of the American Folklore Society and Dean at Tulane University. He published his stories, calling them "Louisiana Folktales." One year later, these stories were adapted and published by his friend and colleague in Georgia, Joel Chandler Harris and, from that day, the English-speaking world has known these stories as the "Tales of Br'er Rabbit." Madewood Plantation Mansion is considered one ot the finest examples of Greek Revival plantation architecture in the country. Situated on Bayou Lafourche near Napoleonville, Louisiana, the home was built in 1846 on a sugar plantation about 45 miles from the French Quarter. The home's first owners were sugar baron Colonel Thomas Pugh and his wife Eliza. This Greek Revival style mansion was designed by Henry Howard, an Irish-American architect with more than 280 buildings to his credit, including the grand antebellum homes Nottoway near White Castle, the Belmond Plantation in St. James Parish and Edgewood in Natchez, Mississippi. He also completed the Pontalba Buildings on Jackson Square which were begun by James Gallier. Nestled among moss-draped oaks, on acres of quiet land, few places are more peaceful than Madewood. You can come for a tour or stay overnight in the "Big House." furnished with period antiques. As a bonus, there is a very old family graveyard on the grounds. Open up the creaking gate, and discover tombs and headstones of those who called Madewood home so many years ago. The largest of the Antebellum Plantations remaining in Louisiana, is Nottoway Plantation, located on River Road (LA 405), in White Castle, south of Baton Rouge. It was second in size and grandeur only to Belle Grove Plantation Home, which suffered a series of disasters, and finally succumbed to fire. Nottoway was built in 1857 by John Hampden Randolph, of Virginia, who amassed a great fortune in sugar. The house has 50 rooms, which were certainly needed, as John Randolph had 11 children. It is said that Nottoway was the first Plantation Home to have a bathroom on the second floor. Inside, one cannot escape the beauty and elegance of its famous White Ballroom. It was the center of all of the Randolph's entertainment activities, with parties, receptions and balls that would go on late into the night. Today, the Grand White Ballroom is a favorite setting for wedding receptions. Nottoway is open for public tours, and has bed and breakfast accommodations, a restaurant and a gift shop. Many visitors enjoy the bonus of watching Paddlewheel Riverboats, such as the Delta Queen, as they pass Nottoway Plantation on their journey up the Mississippi River. "One of the great things about living in New Orleans, is that you can enjoy the nice tourist spots every day." 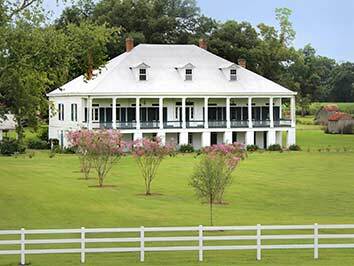 Oak Alley is truly the quintessential Southern Antebellum Plantation home. It is a massive Greek revival home, supported by 28 columns, each 8 feet in circumference, with 15-foot high ceilings and 16-inch thick brick walls. The 13 foot wide veranda surrounds the house on all four sides, offering a splendid view, and ample shade and protection from the sun or rain. From the main entrance, two rows of 14 magnificent oak trees (now 250 years old) line the walk to the Mississippi River, a quarter mile away, hence the name "Oak Alley". Today, one has so much more to savor. In the last few years, several cabins have been provided as Bed and Breakfast accommodations, allowing visitors to spend the night. What an experience to visit such a place, and have time to enjoy the grounds, without having to rush off to a motel after the tour! If you are lucky, you might even see one of the paddlewheel riverboats docking, allowing its passengers the opportunity to visit. Oak Alley now has a restaurant, that is open early enough for breakfast and remains open long enough for a late lunch. The menu is traditional Cajun and Creole Food, and I've never been disappointed. At the restaurant also is a small gift shop, but it is for keepsakes, not a commercial store. Of course, if you enjoy picnic lunches, Oak Alley provides picnic tables under the cool oak trees near the parking area. There are special events scheduled on the grounds throughout the year.